A long-time Coomera landholder is poised to break ground on the second stage of its debut residential project in the Gold Coast’s northern corridor. Polaris Coomera is preparing to commence stage two civil works on its Ferndale Estate on a site near the Coomera Town Centre precinct, having completed stage one in February. 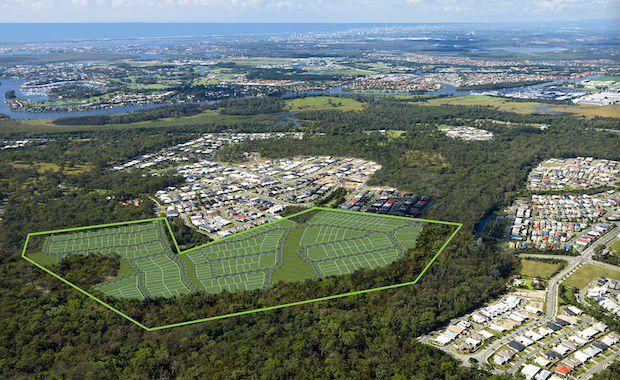 Polaris Coomera Project Manager Phillip Yaxley said Coomera was one of the South East corner’s major growth precincts and had an associated pressing need for quality residential development. Ferndale Estate will comprise 151 residential allotments ranging from 400 square metres to more than 600 square metres. The community will include landscaped parks and gardens, and sits next to a large green open space that provides a natural backdrop to the estate. Mr Yaxley said Ferndale’s strategic location would be a major drawcard for buyers, with proximity to the M1, Coomera rail station and several state and private schools. “There is also a large amount of infrastructure taking shape in this growth area,” he said. Coomera Town Centre is expected to create 1,200 jobs during construction and 1,600 permanent jobs once it opens. Other projects earmarked for the area surrounding the Coomera Town Centre include a hospital and medical hub, educational institutions, commercial precincts and sporting facilities. Plans have just been unveiled for a 7,500-seat sports stadium at Coomera which will be the venue for gymnastics and netball events during the 2018 Commonwealth Games. Related Article: Commonwealth Games Village Wins DA ApprovalThe 10,000 square metre complex, to be known as Coomera Sport and Leisure Centre, will be transformed into a multi-sport centre after the Games.